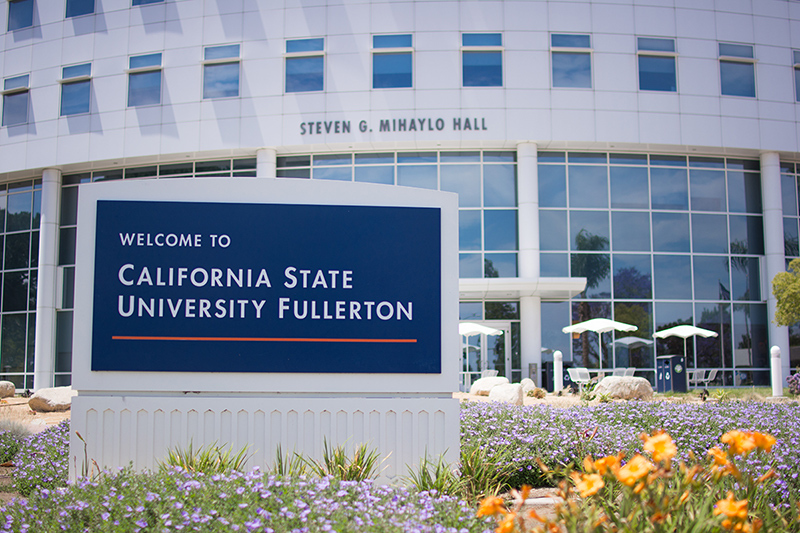 The Association to Advance Collegiate Schools of Business (AACSB) – the world’s leading accrediting body for business higher education programs – has bestowed its dual accreditation for the business programs and accounting program of Cal State Fullerton’s Mihaylo College of Business and Economics for another five years. The ranking honors the college’s growth in student engagement and support, faculty research and accomplishment, donor outreach, and impact on the Orange County community and beyond. A leader in providing high-quality, yet affordable, education to the increasingly diverse millennial and Generation Z future business professionals, Mihaylo College, the largest business education institution on the West Coast, serves as a prototype for integrated and impactful business education at contemporary public higher education institutions in the U.S. and globally. In bestowing reaccreditation on Mihaylo College, the reviewers of the Tampa, Florida-based accrediting body took into account an extensive list of innovations, impacts and engagement that the college has experienced in the previous five years. With a student body of more than 9,000, the college has been at the forefront of undergraduate and graduate success through BUAD 300 – Professional and Career Development, an orientation course specifically designed for the transfer student population; innovative use of technology and teaching methods for what have historically been difficult to pass “bottleneck” courses; and expansion of career-focused initiatives designed to connect students at all levels on their journey from the classroom to internship to professional positions. Over the past five years, Mihaylo College has witnessed an increase in six-year graduation rates for first-time freshman from 58.4% to 68.2%, a record high over the institution’s 60-year history, and an unprecedented shrinking of the achievement gap for underrepresented students to 6.5% in 2015. Transfer students have also seen an increase in graduation rates, reaching a four-year rate of 74.2% for the fall 2013 cohort, up from 68% at the beginning of the present decade. Titan Capital Management (TCM), an applied investment portfolio that enables finance students to manage actual stocks and bonds in a state-of-the-art trading facility environment, is but one example of the college’s symbiotic initiatives. In addition to benefiting the professional development of the involved students, proceeds from the portfolio benefit incoming undergraduates by funding the Mihaylo Tutoring Center. Through its Centers of Excellence – self-supporting entities connecting academics and industry – the college has expanded its footprint in the Southern California business and philanthropic communities and the various academic disciplines, while often making a tangible positive impact on companies, practitioners and the local community. The Center for Insurance Studies (CIS) was named one of only 20 programs worldwide to receive the Global Center for Insurance Excellence (GCIE) designation in 2017. The Lead SBDC – the small business development center serving Orange County, the Inland Empire and Southern California desert communities – was ranked first among the nation’s network of such small business development entities in 2015 for access to capital provided to businesses. In a 2017 study in the Journal of Education for Business, Mihaylo College ranked 20th in the U.S. in research productivity in business and management education. Faculty in each of the college’s six departments are active in research, expanding the body of knowledge in their respective fields while also supporting cross-disciplinary implications for application and impact. Faculty throughout the college published 457 ranked journal articles, including 123 A-level journal articles, during the five-year review period, many covering such practical topics as the impact of social media on workplaces, stock market volatility and the integration of diversity into today’s organizations. While celebrating the honor of continued accreditation, Mihaylo College looks to the future, to an enduring impact on the Southern California, U.S. and global business fields for generations to come. © 2019 Atomic Theme by Array.